Bhí Seachtain na Gaeilge den scoth againn i bPobalscoil na Gailinne. 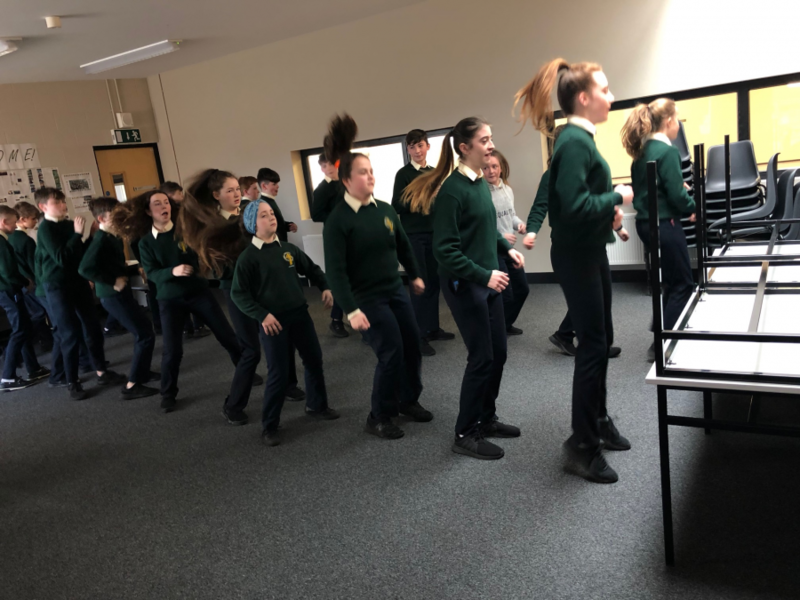 Is iomaí imeacht spraíúil a d’eagraigh an Roinn Gaeilge ina measc: céilí, biongó agus ‘fás tú féin é’ i bpolatollán na scoile. D’fhoghlaim na daltaí céimeanna nua, conas síolta a chur chomh maith le neart focail agus frásaí Gaeilge nua. Reáchtáladh comórtas póstaeir bunaithe ar sheanfhocail na Gaeilge agus bhí caighdeán na healaíne go hiontach ar fad. Ba mhaith linn buíochas a ghabháil leis na scoláirí agus na múinteoirí ar fad a ghlac páirt agus a chabhraigh linn i rith na seachtaine. 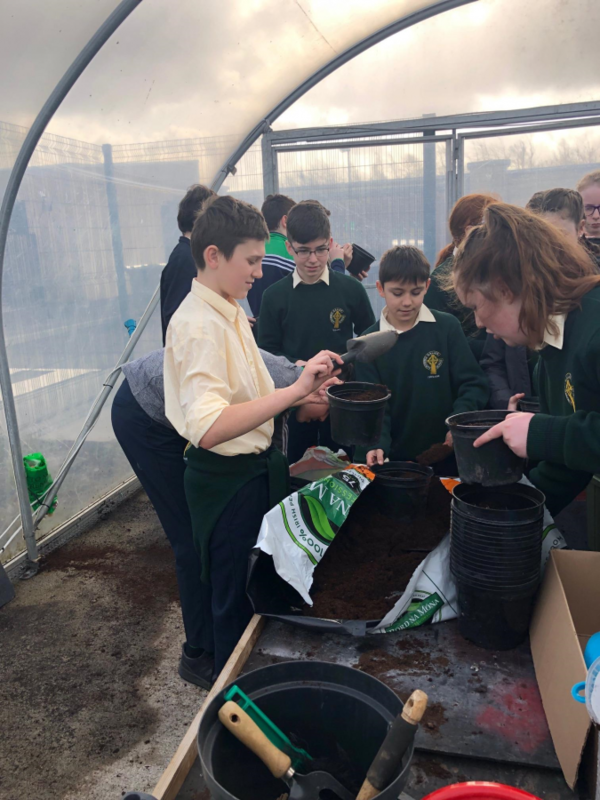 Is léir go bhfuil an Ghaeilge beo beathach i bPobalscoil na Gailinne. Mar a deir an seanfhocal ‘beatha teanga í a labhairt’. We had a fantastic Seachtain na Gaeilge in Gallen Community School. 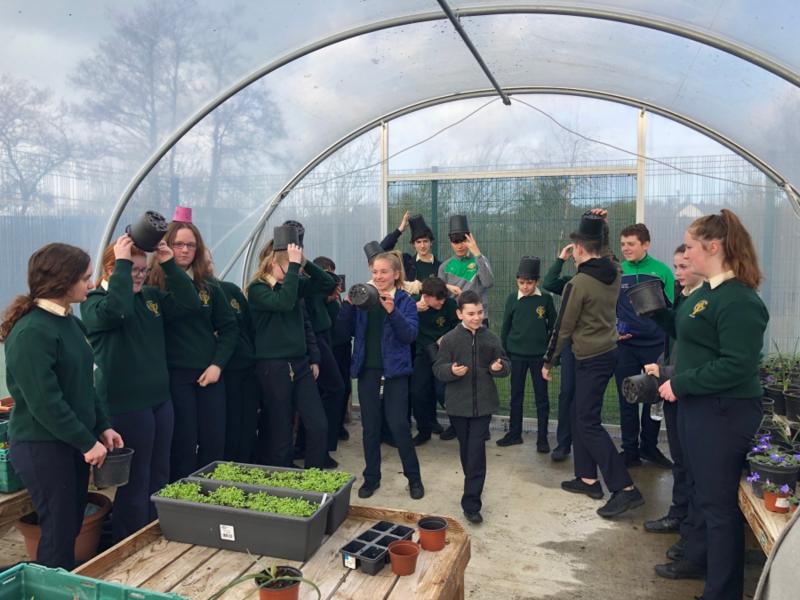 The Irish Department organised many fun events such as a céilí, bingo and a ‘grow your own’ activity in our school polytunnel. Students learned new steps, how to plant seeds as well as many new words and phrases. A poster competition was organised based on old Irish proverbs and the standard of art among students was outstanding. We would like to thank all the students and staff who took part and helped during the week. It’s clear that the language it alive and well in Gallen Community School. As the proverb says ‘beatha teanga í a labhairt.